Nigeria and other African countries taking loans from China must ensure that the terms of borrowing are strictly in conformity with the Paris Club arrangements, the International Monetary Fund (IMF) said Wednesday. It also recommended that Nigeria should embark on comprehensive tax reforms as a way to boost non-oil revenue generation. The Washington-based institution, in the latest edition of its ‘Fiscal Monitor report,’ also ranked Nigeria as the second worst country in the world in the utilisation of its Sovereign Wealth Funds (SWF). Presenting the Global Financial Stability Report at the ongoing IMF/World Bank Spring Meeting in Washington DC, the Financial Counsellor and Director, Monetary and Capital Markets Department, IMF, Mr. Tobias Adrian, argued that financial transactions between benefitting African countries and China does not usually align with the Paris Club arrangements. He added: “Nigeria has been borrowing in international markets, but we worry about rollover risks going forward. On the other hand, this is very good because it allows the country to invest more. 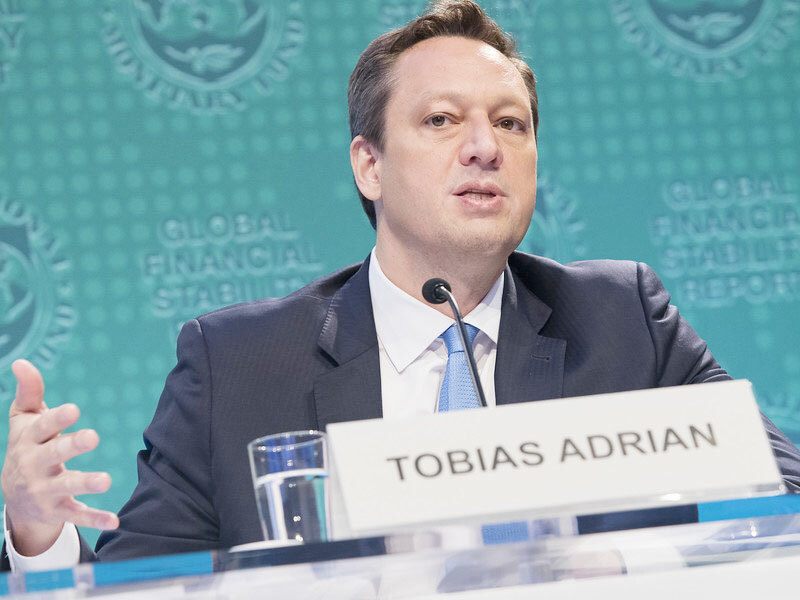 Adrian said the GFS report provides an in-depth analysis of a number of specific vulnerabilities, adding that in advanced economies, corporate debt and financing risk taking have increased. “The credit worthiness of borrowers has deteriorated. So-called leveraged loans to highly indebted borrowers continue to be of particular concern. In the Euro area, fiscal challenges remain in countries that have worries about the sovereign financial sector nexus. If sovereign yields were to rise sharply, banks with large holdings of debts could face significant loses. Insurance companies could also face loses on their bond portfolios,” he added. He said the report showed that this was the time for decisive policy actions since vulnerabilities were increasing in a number of countries, adding that there was no more room for complacency. He also called on policymakers to ensure post crisis regulatory reform was fully implemented, adding that they should resist calls for rolling back reforms. “Policy makers should develop and deploy macro-prudential tools which can mitigate vulnerabilities and make the financial system more resilient,” he added. He also called on emerging markets making volatile capital flows to limit their reliance on short term overseas debt and they should ensure they have adequate foreign currency reserves and bank buffers. He also called for monetary policies to be data dependent and well communicated. “Policy makers should act decisively to renew their commitment to open trade, to discourage the build-up of debt and to communicate clearly any shifts in monetary policy. In the maturing credit cycle farsighted policy actions to reduce vulnerabilities can help avoid more painful adjustments in the future,” he said. On his part, the Deputy Director, Monetary and Capital Markets Department, IMF, Fabio Natalucci, said it was of concern that the global economy is slowing down with market gyration over the last six months affecting risk assets, adding that this has raised investor concerns about the health of the corporate sector. “If there is a severe slowdown in the growth of the global economy, then it could be a problem for some firms, particularly because credit quality has declined, underwriting standards are weaker and debt levels are much higher,” he said. In a related development, IMF has recommended that Nigeria should embark on comprehensive tax reforms as a way to boost non-oil revenue generation. 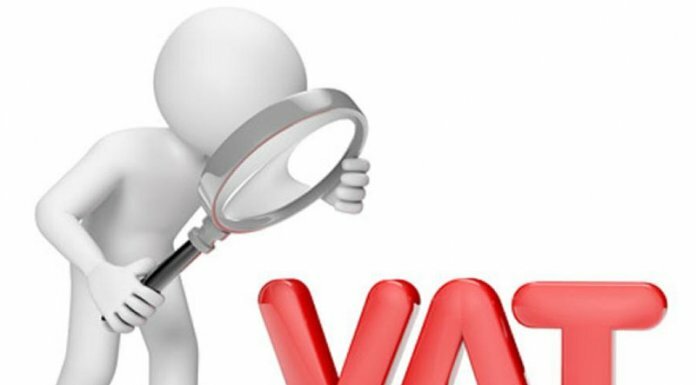 The Director, Fiscal Affairs Department, IMF, Mr. Vitor Gasper, told journalists during a media briefing at the IMF/World Bank Spring Meeting yesterday that the body strongly recommend tax reforms to Nigeria. According to him, “Tax reform in Nigeria is a very important issue and one of our main recommendations for Nigeria is the need for a comprehensive tax reform that would sustainably increase non-oil revenue. And the reason why that is needed is that Nigeria has one of the lowest ratios of non-oil revenue-to-GDP at around 3.4 per cent in the world. And total tax revenue-to-GDP at around 8 percent is also very low compared to its peers. The Fund in its Fiscal Monitor report, stated that Qatar was the only country worse than Nigeria on its SWF Index. It stated: “It is critical to develop a strong institutional framework to manage these resources—including good management of the financial assets kept in sovereign wealth funds—and to ensure that proceeds are appropriately spent. Apparently responding to cautions against accumulated debt profile, the federal government yesterday in Abuja said the nation’s debt profile is sustainable. Three World Bank’s chiefs, the bank’s Chief Economist (Africa), Albert Zeufack; Lead Economist (Africa), Punam Chuhan-Pole; and Research Manager, Michael Toman, while releasing ‘Africa’s Pulse,’ a biennial analysis of African economies in the United States last week, said whereas the African continent had been showing positive growth, its debt profile had continued to rise at a high rate. According to Chuhan-Pole, whereas Nigeria’s debt is low when compared to the gross domestic product (GDP) ratio, the interest it pays on the debt has been very high and hence, the need to exercise restraint. According to Nigeria’s Debt Management Office (DMO), the country’s debt profile as at December, 2017 stood at N21.73 trillion, which is almost the double of the debt figure of N12.2 trillion as of June 30, 2015 when the current administration took over. But while answering questions from journalists after the weekly Federal Executive Council (FEC) meeting in the State House, the Minister of Budget and National Planning, Senator Udo Udoma, said notwithstanding the astronomical rise in the country’s debt profile in the last four years, the profile is yet sustainable. According to him, all that is necessary is to broaden the scope of revenue generation, adding that once the revenues increase, debt profile will not be an issue. He added that the government was currently working on ways to increase efficiency in revenue generation through tax collection and income generation from the Nigeria Customs Service (NCS), insisting that there is no cause for alarm because every nation borrows. “With regards to our debts, our debts are sustainable. We do have a revenue challenge and we are focusing on that. Once the revenues come up, it will be obvious that we don’t have a debt problem at all. “We are working on a number of initiatives to increase our revenues. We are looking at initiatives to widening the tax payments. We are looking at initiatives to increase efficiency in collections. We are looking at a single window, which will help to increase efficiency, customs collections. We are looking at many different ways to improve revenues. “The debts are sustainable, every nation borrows. We are working on increasing our revenues,” he said. Udoma also said FEC approved about N267 million to finance N-Power built programme under the social investment programme meant for the delivery of accelerated training and certification skills to 75,000 Nigerians between the ages of 18 and 35 years. 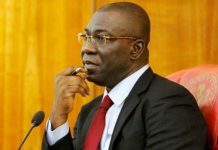 He said while N122,800,000 of the sum is meant to implement the project in the South-east, the balance of N145,106,107 will be used for execution of similar project in the North-west. “It aims to build a high crop of highly competent and skilled workforce of technicians, artisans and service professionals who will be trained and tooled and transitioned annually to take up jobs such as electrical installation technicians, plumbing and pipe fitting installers, masons, carpentry and gentry experts, welders, fabricators, professional painters, built technicians and so on. In his own briefing, the Attorney General of the Federation (AGF) and Minister of Justice, Abubakar Malami, said the council also approved N2.849 billion for the installation of a digital process in the nation’s prison system with a view to facilitating the process of decongesting the prisons. “Arising from this, the office of the attorney-general presented a memo today (yesterday), which is web-based automated inter-connectivity system, which is a digitalises way of decongesting the prisons. The idea is to digitally connect all the prison formations to the office of the attorney-general of the federation, the police, prison service and indeed selected courts. “This will aid stakeholders in decision making on a daily basis through digital process of inter-networking. This is against an adhoc committee moving across the country to have physical presence in prisons,” Malami said. Also briefing, the Minister of State for Aviation, Senator Hadi Sirika, said FEC also approved N291,731,485 million for the procurement of memory access retrieval system to enhance safety in the nation’s airports. In the same vein, the Minister of Federal Capital Territory (FCT), Mohammed Bello, said the council approved N368 million for the supply of water and field for Abuja Water Board. He also said FEC approved another N226 million for the supply of 500 fire men suits for FCT Fire Services.